In celebration of Deathly Hallows' release, I'm going to do something I don't usually do on this blog. I'm going to indulge myself in a post that is truly more fan speculation rather than writer analysis. What can I say? I came to Harry Potter first and foremost as a fan! Back in the summer of 2007, after the cover for Deathly Hallows had been revealed, but before the book had been released, I, like many other HP fanatics, was caught up in exploring and speculating on every aspect of the cover for possible clues toward the forthcoming story. I was especially fascinated with that mysterious, geometric symbol on the spine of the Bloomsbury UK cover. Having already spent a good deal of time analyzing and presenting workshops on the alchemical and Egyptian mythological underpinning of the series, I looked there for an understanding of the symbol. I completed an editorial analyzing it as the last segment of a 3-part essay on Egyptian Mythology in Harry Potter that was published on Mugglenet.com. But now that I have a blog of my own, I can subject you all to this last, lost speculation! So, if you're ready to revisit those long-gone wonderful times of plastering the Internet with wild theories before the next Harry Potter release, then sit back and grab something good to drink, because when I dip into fan speculation, I tend to get long-winded. And now for what I consider the most exciting part of this three-part editorial -- that symbol on the spine of the Bloomsbury children's cover, the one that has inspired much discussion, sparked such controversy, and appeared as the key into the last round of W.O.M.B.A.T. questions. That sign, in my opinion, is a decidedly Egyptian symbol with some mixed-in alchemical and Masonic esoteric meaning. Essentially, I think it is a composite sign of JKR’s own creation -- an Egyptian Triangle with the Eye of Horus and Tree of Life layered on top. (My editorial is very long, but if you're interested, it will give you greater insight to the theories below). 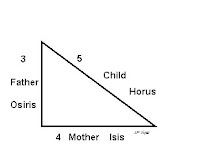 1) The triangle represents the sacred Egyptian Triangle or Golden Triangle, personified by the goddess Isis, her deceased husband Osiris, and their child Horus. These three together formed the Egyptian holy family and thus symbolized eternal love and the new life that is born of that love. 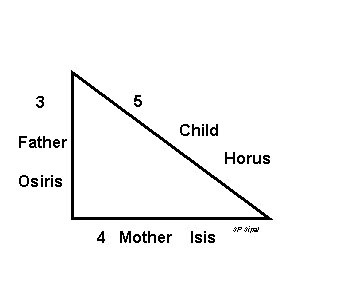 (Through earlier parts of my editorial, I'd already analyzed how Isis = Lily, Osiris = James, and Horus = Harry). Two of these triangles together formed the shape of the Great Pyramid of Kafre at Giza. 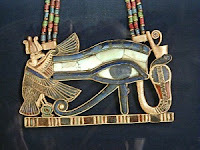 2) The circle inside the triangle represents the Eye of Horus, a symbol of Divine healing, protection, and restoration. 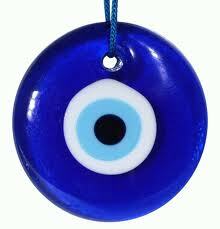 An apotropaic amulet (turns back harm) it is the ancestor of the Eye of Providence watching out from afar, giving guidance, and continues even today in the form of the Turkish evil-eye bead, nazar boncugu. 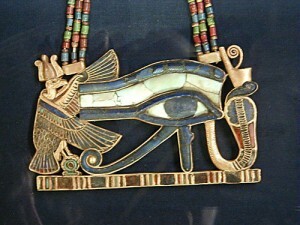 The Eye is framed by the falcon, who represents Horus, originally a sky god (and man, can Harry fly!). Because of its strong association with healing and restoration, many amulets would often be placed within a mummy's wrappings. 3) The line bisecting both triangle and circle from bottom to top represents the Tree of Life, a symbol of life, obviously, but also of a central pillar that had roots in the underworld, a trunk in our world, and branches into the realms of the gods. In ancient Egypt, it is represented by the djed, a symbol of Osiris, who was tricked by his brother Set to lie in a coffin that was then sealed shut, killing him. The coffin eventually becomes enclosed in a huge tree which is used as a pillar at a palace in Byblos. With its four branches, this Tree of Life supports all four corners of the cosmos. With its associated myth of a body hidden in a coffin hidden in a pillar, it also represented sacred esoteric knowledge. Sometimes considered to be the spine of Osiris, the djed also represented strength and stability. Now, as it's been over three years since Deathly Hallows has been released, read, reread, and digested, I can look back on this speculation and see how my original theory fit in with the reality of the book (or at least my opinion of it!). 1) The invisibility cloak was the one Hallow handed down from father to son through the generations. It represented love and protection, and for Harry was almost always shared among his only living family -- his friends Ron and Hermione. Notice that it was quite frequently the three of them under that cloak, Harry's own golden triangle of friendship and love. It was also the only Hallow Harry kept, because, like the Egyptian Holy Trinity, its protection and love of family was eternal. 2) The Resurrection Stone had the ability to bring the dead back, just not to real life. 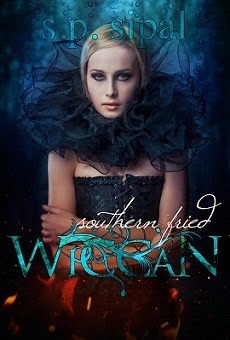 For Cadmus, it drove him crazy to be with a love he could never truly possess again. But for Harry, who sought not to possess but to be counseled, the stone brought him comfort from the guidance of those who had gone before. Like the Eye of Horus, Lily, James, Lupin, and Sirius truly gave him divine loving guidance and protection on his walk to meet Death and restore the natural order. And of course, we must not forget Dumbledore, who through the blue eyes of his brother Aberforth in the fragment of a glass mirror (like the Turkish blue-eyed bead), still watched out for Harry throughout this last book. 3) If you look at that line on the Bloomsbury cover representing the wand, you'll see that it's actually a spear, with a pointed tip at its head. As the most powerful wand created, the Elder Wand had the ability to pierce the Veil of Death by both sending its master's adversaries across the veil, and supposedly preventing its master from making the trip himself. Of course, it failed to do the latter. However, the elder wand, this stick from a tree, is an ironic symbol of the Tree of Life in its human-mangled transformation into a Death Stick. Because, as always with JKR, it is the choices we make, not some magical tool, that determines our path in life. As the knowledge of the hidden body of Osiris suggests, it was the esoteric knowledge Voldemort failed to obtain which Harry did, about the power of the wand, the force of love, which ultimately removed his life. In the end, the invisibility cloak would be passed on to Harry's children, continuing the eternal gift of love and protection from parents to child. The Resurrection Stone was dropped in the Dark Forest, buried in the dark soil, just before Harry confronts Voldemort to offer himself as a sacrifice and restore both himself and the wizarding world. I find it extremely interesting that the Elder Wand is returned to the coffin of Dumbledore...as if a deliberate wink to the coffin of Osiris entombed in the tree-pillar. Stability has been restored...for as long as the power of the wand, the desire to take life rather than to give, is no longer misused. Even back in 2007, I never believed that JKR in her actual text would use any of these words: Egyptian Triangle, Eye of Horus, Tree of Life, but rather that these symbols were subtextual, hidden below the surface, to provide an extra layer of depth and meaning to her rabid readers. Of course, all this is conjecture on my part, and I may be totally off the mark in the meaning and images she was drawing upon when she created her Hallows. Have you incorporated symbols into your own work? What was the source of your inspiration? I'm sorry to be this slow announcing a winner. I had a bit of a family emergency on Halloween that set-off three weeks full of delays and emergencies, some good, some not so good. But I would now like to announce the winner in the Mad-Eye's Magical Eye contest. Congratulations to Heather Faesy of Lost in the View blog! Thanks to all who entered, and I hope to have another contest around Christmas, so check back soon! You can follow Heather at her Twitterfeed hfaesy. First and foremost, I LOVED it! My family and I saw it at midnight last night -- and I must be getting old because I'm still recovering from lack of sleep. :-( But it was worth it. I do think this is my favorite Harry Potter movie yet. The thing that impressed me the most was the depth of the acting. These kids have really grown up. With the earlier movies, sometimes I winced with the young actors' performances (and not just the Trio). But not so now. They've truly been put through a top-quality acting intensive with the wonderful adult actors they've shared the stage with over the years and the fabulous directors. It shows. There was not a miss in anyone's performance to throw me out of the fantasy. Second, the level of the pacing. For me, I did not notice that odd delayed reaction thing which I talked about in Wednesday's post. The pacing kept my attention and didn't slow down. Even though it was often not a fast-action movie, it was still gripping. And then the faithfulness to the books. Maybe because of giving more time to the story by splitting it into two movies, or maybe because it's been a while since I read Deathly Hallows, but I did not leave the theater with a lot of frustration about what had been cut or changed from the books. Some additions I quite liked, such as Harry and Hermione's dance. I'll be honest and say it's the first Harry Potter movie I've seen in quite a while where my initial reaction wasn't a mix of complaints and frustration along with the pleasure. I've always liked the movies better the second and third time around, but for some reason, that first viewing left me somewhat disappointed. Not at all with Deathly Hallows! The only complaints I will offer is that 1) while I loved Dobby's scenes at the end, I think his monologue before disapparating with the Trio went on just a bit too long, and 2) in contrast, I think his death and Harry's reaction was just a bit too rushed. Likewise, I would have liked something a bit more with Mad-Eye's death, but honestly, am not sure exactly what. My son says he wished they had shown Nagini/Bagshot "talking" with Harry more, and we both wished they'd shown the statue in front of the Potter home in Godric's Hollow. But, honestly, these are mostly minor details that I had to think about. For the most part, for me, it was a flawless immersion in a wonderful fantasy world! I loved seeing the seven Potters, the whole Godric's Hollow sequence, the emotional interactions between the Trio, the spectacular scenery, and the intensity of the Malfoy Manor scene near the end. Well done! I hope you enjoy it as much when you see it, if you haven't already! With the end in sight of the Harry Potter film franchise, I thought it might be fun to do a brief survey comparing the films to the books. I'll list the questions below and then answer them myself. You can answer in the comment section, and please forward to any of your friends who are Harry Potter fanatics as well! 1) What did you discover first, book or movies? 2) What moment did you most enjoy seeing come to life on the big screen? Me: So many to choose from! I think the ice imagery for the Yule Ball was spectacular and was deeply moved by Mr. Diggory's grief in Goblet of Fire. 3) What aspect of the movies looked the most different than your imagination had pictured it? Me: Lupin. I think David Thewlis is a wonderful actor and characterized Lupin well, but he just didn't look at all like I'd imagined Lupin. 4) Which actor did you think best embodied the character? Me: It will be hard for me to choose just one. I loved Emma Watson as Hermione and, of course, Alan Rickman as Snape. But I also think Miranda Richardson as Rita Skeeter was fabulous as well as Gary Oldman as Sirius. Really, so many! Me: I know Prisoner of Azkaban the movie was really a bit weird, but I loved it. It's one of my favorite movies. 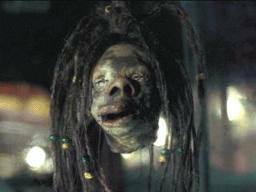 I loved the added elements with the shrunken heads. In Order of the Phoenix, it was really cool to see them Order whizzing by various London landmarks. 6) Which element from the books that did not make it to the movies did you most miss? Me: All the stuff with the Marauders. There was just so much to this backstory which had to be cut to fit into the shorter movie. But I missed it, and I think it left non-book fans confused. I know this goes a bit against my answer to five, but there you have it. 7) What surprised you the most about the movies? Me: that all the major actors, really, even the minor ones, made it through all 8 movies! Except for the death of Richard Harris (the first Dumbledore), I don't know of any significant actor change mid-stream. Incredible. I'm stopping at 7 as that's the most magical number. :-) I'm sure I'm forgetting many tidbits, and will probably be doing a lot of me-too'ing with your answers! One question I have for anyone who might know: The pacing of the movies, especially near the beginning, have always seemed a bit odd to me. I don't know how to explain it, but it seems like the pacing of a person's response to an action is always just a beat off. And, for me, this is not just one movie but several. For a good example, in Prisoner of Azkaban, after Harry has blown up Aunt Marge, he lingers, watching her for a few seconds longer than I think is necessary so that his running away seems almost late, an after-thought. 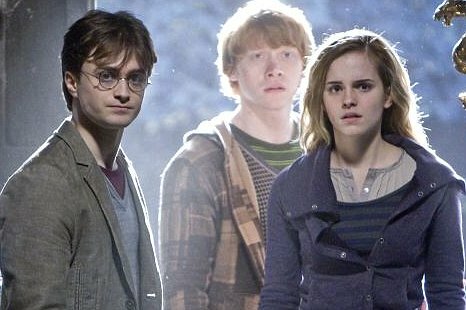 Of all the 7 Harry Potter books, Deathly Hallows stands unique in a crucial role which it plays in the series. It is the book that broke the mold. Of the three patterns listed, for the most part, JKR established and then maintained them consistently through the first 6 books. 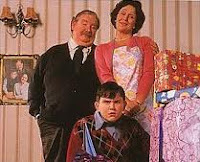 She didn't always have the Dursleys on set at the end of each HP book, but she always had Harry returning to their loving home. Also, there are a few places where she presents a scene outside of Harry's POV, such as "The Riddle House" in Goblet of Fire, and "The Other Minister" and "Spinner's End" of Half-Blood Prince. These are also places where she technically does not start at the Dursleys' home. However, she presents these scenes at the very beginning of the book, then switches back firmly into Harry's POV, who IS at the Dursley home, and remains in his POV for the rest of the story. Finally, each book of the first six follows a year at Hogwarts. You know as a reader what to expect with the school calendar. A major twist is happening with Halloween, a key turning point around Christmas, and the climax with final exams. These patterns that JKR established helped set the pacing and expectations for the reader. Smashing these patterns in the last book was a dramatic way of showing the reader that everything in Harry's world had turned upside down...or gone Levicorpus. In Deathly Hallows, while Harry starts out at the Dursley home, it is made clear to the reader that he is leaving there for good. Dumbledore's protective blood charm has worn off as Harry attained adulthood, and he will not return. But what is most significantly different in this last book is that Harry is not happily on his way to another year at Hogwarts. This jarred fans tremendously, but it demonstrated clearly how serious the war had become and how determined Harry was to accept his responsibility and fate. Harry’s world had changed completely, and Harry, now an adult, was forced to change with it and accept his new responsibility. As writers, we should also notice when JKR chose to dip outside Harry's POV. She carefully selected scenes to present from a POV different than Harry's, and they were always at the beginning of a book with a situation which Harry would have no access to view, even through his Voldy-connection. However, what is most revealing about these POV breaks is whose head she did NOT get into. Neither in "Spinner's End" nor "The Dark Lord Ascending" did she choose to present from Snape's POV. To be inside the head of the master trickster would entail revealing info she was not yet ready to reveal--or else cheat her reader. And thus these scenes were presented from a more traditional, omniscient narrator POV. 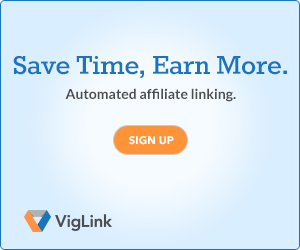 Breaking a well-established pattern gives a jarring impact to your faithful reader. Used properly, this can provide a powerful punch and demonstrate that your world is changing, darkening, coming to a climax. Take a moment to look at your story, especially if you're writing a series. Have you established any patterns within its frame? And if so, have you plotted how and when you will break your patterns to help your reader experience critical changes in your world and to your character? Please help me welcome Jo Hart to Harry Potter for Writers as my inaugural guest blogger! When I first joined Twitter and started this blog a few months ago, Jo was one of the first people to respond to me and welcome me in. Jo is a writer, teacher and mum living in Australia. 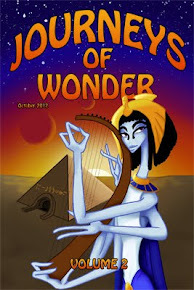 She has stories featured on the Australian Literature Review and Smories (stories for kids). She's been a fan of Harry Potter for nearly 10 years and has several fan fiction stories posted on HarryPotterFanFiction.com under the pen name Joanne K.
J.K. Rowling is undeniably a great writer. Her Harry Potter series introduced a generation of video-game obsessed kids to books. But Harry Potter is not just a series that appeals to children, it is a series that appeals to all ages, including adults. I was already an adult when I discovered Harry Potter and it has since had a big impact on my life, and in particular, my writing. 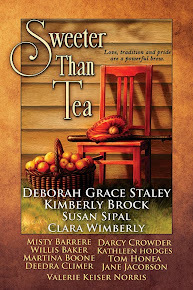 There have been several authors who have influenced my writing over the years. The earliest would have been Enid Blyton who first introduced me to the magic of story writing. Later, as a teen, John Marsden convinced me I wanted to become a published author. 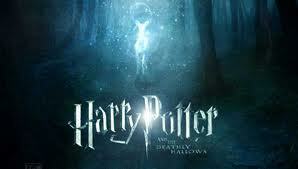 I discovered Harry Potter as a young adult while studying teaching and creative writing at university. I started dabbling in fanfiction as a way to relax between studying and because I felt a connection with the characters J.K. Rowling had created. I know there are mixed feelings from writers when it comes to writing fanfiction (J.K. Rowling has said she has no problem with fanfiction). I'm happy to admit I once wrote fanfiction because it taught me so much about writing and in the end has made me a better writer. J.K. Rowling gave us well rounded characters to work with and through writing fanfiction, and through the feedback I received from reviewers of my fanfiction, I developed my writing skills to a new level. The skills I developed writing fanfiction have carried over into writing my own original works, skills like voice, description, showing vs. telling and creating tension. Aside from my experiences writing fanfiction, I have learned a lot from J.K. Rowling's writing in the Harry Potter series. 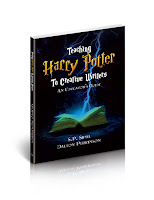 I'm going to talk about two important elements of writing I have learnt from reading Harry Potter: Character development and a well planned plot. J.K. Rowling writes well developed characters whom the reader can relate to. She doesn't spend pages describing every physical detail of the characters, but instead weaves the details throughout the story. She gives each character their own unique voice. When I used to write fanfiction I found it easy to get inside the characters' heads because J.K. had given them such a strong voice, in turn this taught me how to get inside the heads of my own original characters when writing them and develop their unique voices. She made the characters real through their voices, their actions, their relationships and their motivations, as well as their strengths and weaknesses. I've seen some of the sheets J.K. used to draw up her plot for the Harry Potter books. For a series like Harry Potter, which involves not only a plot arc for each individual book, but an overall plot arc as well, planning is absolutely necessary to tie all the threads together. J.K. did a masterful job with the plot arcs and overall plot arc for the series, she threw in red herrings, planted clues and wove in meaningful pieces of information throughout the story. To do this she needed a well detailed plan. When I started writing my current wip I took a page out of J.K. Rowling's book and wrote up plans and outlines before I started. I have found planning helps keep my plot straight as I write and weave in little details that will become important later. I owe a lot to the Harry Potter series for helping me develop my writing skills. There have been a few writers over the years who have influenced my writing, but J.K. Rowling and her Harry Potter series certainly top the list. As it tops mine as well! Thank you Jo for such a wonderful post and for sharing your experience on learning through Harry! If anyone has any questions for Jo, or would like to comment on what you've learned about writing from reading Harry Potter, please post them below. And be sure to visit Jo's blog at The Graceful Doe and follow her on Twitter at @GracefulDoe. Usually in this blog I try to focus on the books rather than the movies. It is, after all, JK Rowling's writing that I'm most interested in. But the release of the first part of the last movie is huge, and I'm just as excited as any other rabid fan. We've already got our tickets for the midnight premiere! So, in celebration, I'll post something every day relating to the books or the movies, whether through links to other blogs, guest posts, or my own. First up, a question for you all: When did you first meet Harry? Was it through a book or a movie? And which one? I found Harry by way of a recommendation from my local used bookstore owner. My son was about 5-6 years old at the time, and we used to go into his store a couple of times a week to pick up kiddie books for me to read aloud. The owner pointed to a paperback of Sorcerer's Stone and said, "This one's been very popular with the kids. You might want to try it." But, it looked a bit too old for my son, so I didn't get it at first. It was still there a few days later, and the next week, so I eventually got it and read it aloud to him. We were both hooked. From there on, I bought all the books new. We quickly went through Chamber of Secrets and Prisoner of Azkaban as they were already out, and then picked up Goblet of Fire as soon as it was released. I read each one aloud to my son, even after he got to the age where he could read them himself. Until the last book, Deathly Hallows. I'd attended a fan conference in London where I'd presented a couple of workshops and had to read the whole book overnight without him there. So, when I caught up to him on a family vacation in Turkey, he read that one on his on during the car rides. We went to release parties for Order of the Phoenix and Half-Blood Prince as well. It was a great bonding experience for us that included my younger daughter as she got old enough. I'm sorry not to have posted in a while. I've had a couple of emergency family situations and am also trying to do NaNoWriMo. However, why not traipse on over to Nathan Bransford's blog and check out a couple of excellent posts he has for a Harry Potter themed week, with one on 5 writing tips learned from JK Rowling? Also, coming up very soon, this blog's first guest post from Jo Hart, a writer and Harry Potter fan from Australia! For all of you NaNoWriMo'ers -- keep the ink flowing!